Sea-level changes have shaped the world’s carbonate platform margins and continental shelves, leaving typical geomorphic imprints, such as drowned reef terraces. 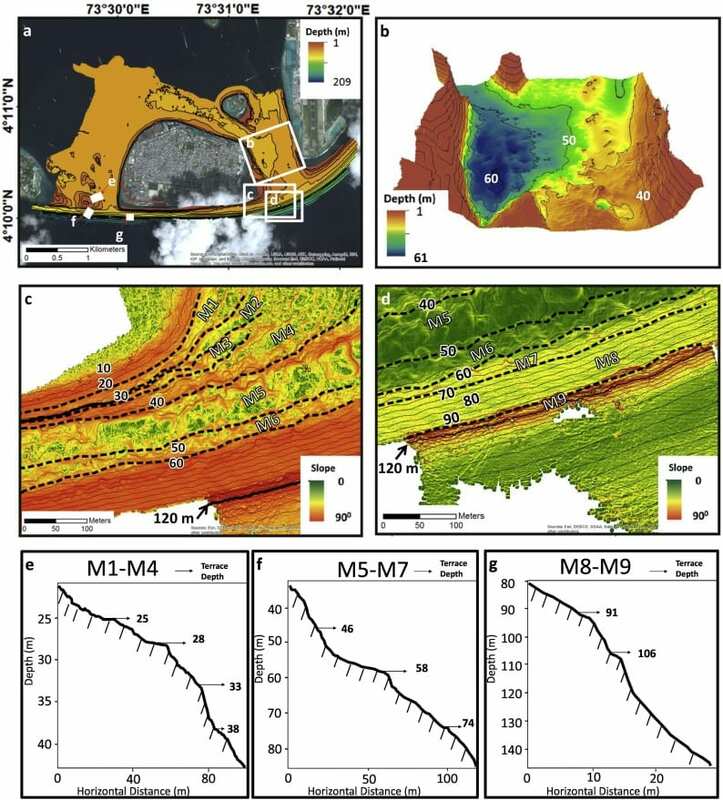 In this paper, we present the results of 112 scuba diving transects across seven different Maldivian atolls and one multibeam survey around Malé Island, the capital of Maldives. We report on the occurrence of drowned reef terraces down to 120 m depth. In total, we identified six levels of submerged terraces that we consider as indicative of periods of time with stable or slowly rising sea level that can be attributed either to deceleration of the last deglacial sea-level rise or to Late Quaternary sea-level highstands. We compare our dataset to the depth of reef terraces reported globally, and we discuss the reasons why common global submerged terrace levels are difficult to identify in the field record.